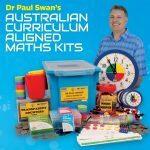 The Australian Curriculum and associate State Curricula link the content and proficiency strands of mathematics. The following table shows the links between the content and proficiency strands. When designing the kits I had in mind busy teachers who don't have the time to race up to the maths storeroom to pick up a jar of dice or a box of cards. The materials in the kits will support teachers trying to improve children’s understanding of maths concepts and fluency. For example, the early years kits contain bead strings to teach counting and ‘turnaround’ facts, that is, the commutative property of addition. The manual that comes with each kit provides suggestions for using the materials contained in the kits. Some new materials were created for the kits. An example of this would be the Probability Spinner Board, which is now available as a specific teaching tool. The Probability Spinner Board is the ideal tool for carrying out probability experiments. Note; Abacus Educational Suppliers now have the Number Spinner Board, which is a single spinner board depicting all of the common dice , 4 faced, 6 faced, 8 faced, 10 faced, 12 faced and 20 faced. Therefore, it does everything that the related diced would do and more. Furthermore, early feedback from teachers suggest that they like the fact that all the spinners are contained on a single A4 board and of course they are much quieter than dice and don’t fly everywhere around the classroom. The materials in the kits can be used in groups, pair work and for teacher demonstrations. Cards and dice are examples of student or class material, whereas the single balance found in some kits would be a teacher demonstration item. Teacher demonstration items have been provided so that teachers have the ability to answer any incidental questions that might arise. If a lesson was about a specific topic such as measuring the mass/weight of objects then a specific kit or set of balances would be required so that children have the chance to ‘measure’. Further kits and support materials will be created and released over the coming months, so watch this space! This entry was posted on February 28, 2017 by Angelique Cocco.